He completed his Medical study in University of Zurich, Switzerland. He completed his Medical thesis on Intracerebral expression and regulation of Interleukin-18 after traumatic brain injury and clinical and experimental study. From 2002 - 2003 he has been in the Department of General Surgery at General Hospital Zollikerberg, Zurich, Switzerland. From 2003 - 2006 he took part in Department of General, Visceral and Transplantation Surgery and Department of Trauma Surgery at University Hospital Zurich, Switzerland. From 2007 to 2010 he has been in the Department of General Surgery at General Hospital Triemli, Zurich, Switzerland. From 2010 to 2012 he has been involved in Clinical Fellowship, Surgical Oncology. In addition with this he also Attended Surgeon (Oberarzt) in University Medical Center Hamburg-Eppendorf and has been qualified from European Board of Surgical Qualification (EBSQ), UEMS Surgical Oncology. In 2015 he received Board certification on visceral surgery and complex visceral surgery at Hamburg, Germany. He completed his scientific training as Associate Professor of surgery in Germany. 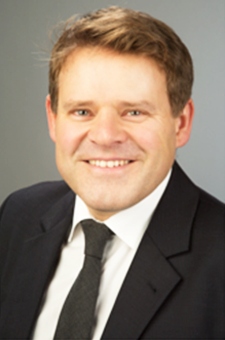 He has been a member in European Academy for Robotic Colorectal Surgery (2015) , German Society for General- and Visceral Surgery (2015) , European Society of Surgical Oncology (2012) , Society of Surgical Oncology (2010) , Swiss Medical Association (2002). He has also reviewed Journals on Annals of Surgical Oncology, Journal of Gastrointestinal Surgery, Annals of Oncology, European Journal of Surgical Oncology. He has been an Associate Editor for Robotic Surgery and Innovative Techniques and European Journal of Surgical Oncology.